Many superyachts have cinemas on board and demands by yacht buyers for increasingly sophisticated entertainment systems are expected by shipbuilding yards and yacht brokers. However, Spring 2019 will mark the launch of a new level of yacht entertainment technology and what is certain to be the envy of every yacht owner – the world’s first certified IMAX movie theatre on a superyacht. Dan Snyder, the American billionaire owner of NFL team, the Washington Redskins, will be the owner of the world’s first private IMAX cinema on a vessel called Lady S (Project 814). The state of the art kit installed on Lady S includes a two-deck, 12-seat IMAX cinema that has been estimated to have cost around $3 million, plus 8K televisions in the guest cabins. IMAX has very strict and specific technological requirements so the company was heavily involved in the build and design process. The IMAX specs were so large that Lady S had to be built around the cinema. And adjustments to minimize sound and vibrations coming from the engine were a requirement before IMAX approved the project. Lady S is being built by Dutch shipyard Feadship. 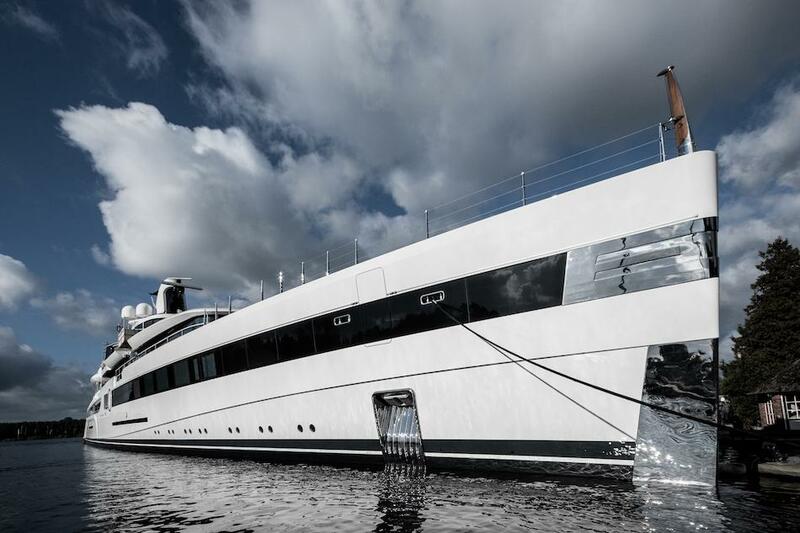 Based in The Netherlands, this luxury yacht shipyard has an excellent pedigree, having created some of the world’s most impressive superyachts. Between 1967 and 1986 Feadship built three yachts, each named The Highlander, for Malcolm Forbes. Today, after major refurbishment, 49.5 meter The Highlander is available for private charter from $150,000 per week. If you do hire The Highlander, you’ll be following in the footsteps of Mr. Forbes’ famous guests including Liz Taylor, Robert De Niro, Harrison Ford, Margaret Thatcher, Ronald Reagan and HRH Prince Charles. 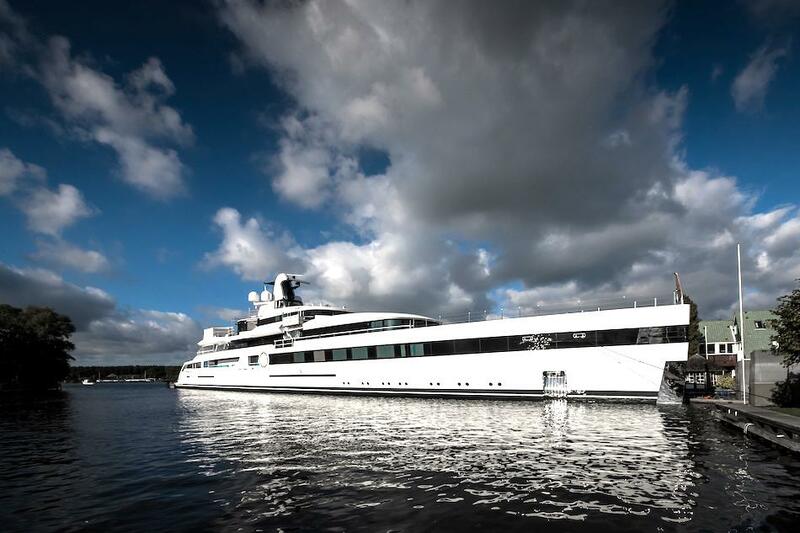 Other well-known Feadship yachts are those built for Roman Abramovich and Steve Jobs. 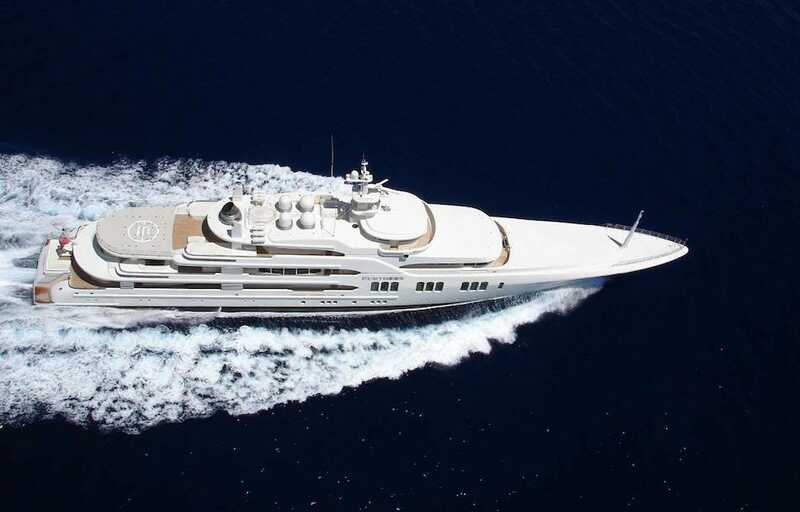 In 2004, the 86 meter Ecstasea was built for Roman Abramovich and was the largest yacht from The Netherlands at the time. 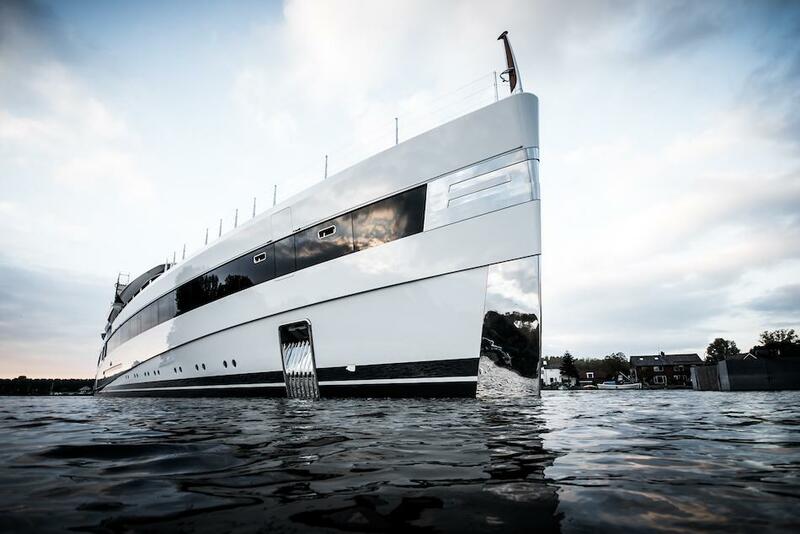 In 2012, Feadship delivered the 78 meter yacht Venus to the widow of Apple founder Steve Jobs. 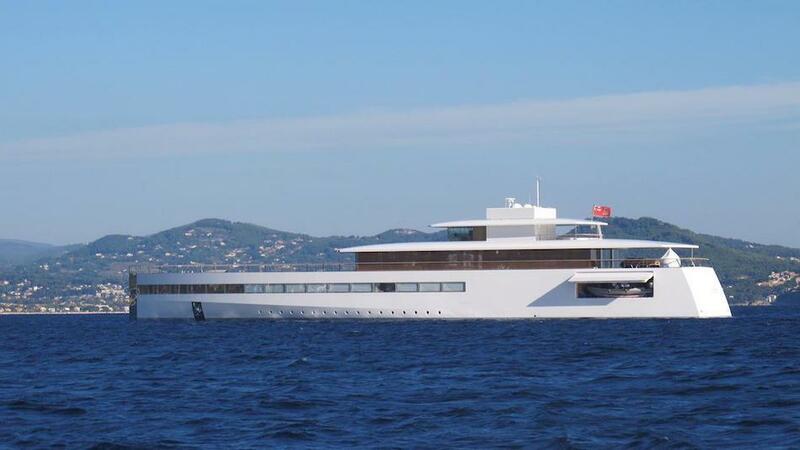 Unfortunately Mr Jobs had died not long before delivery of his Philippe Starck designed yacht. 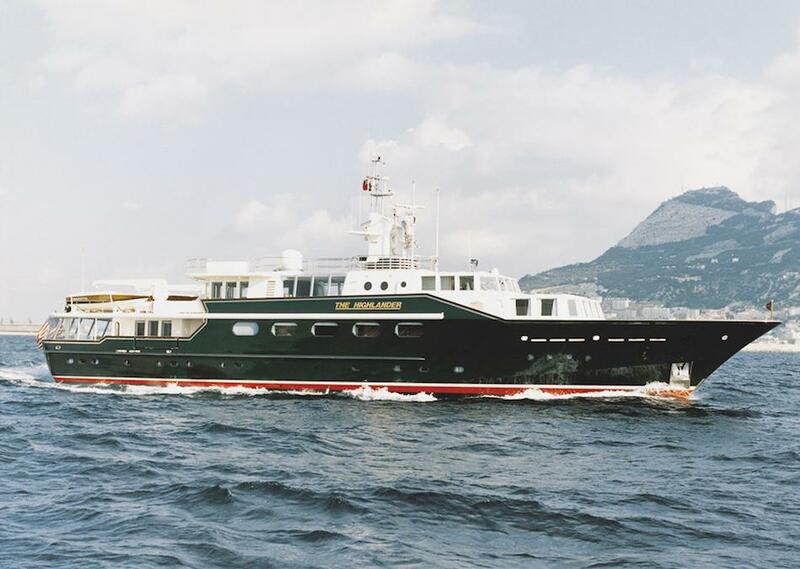 Lady S has taken five years to build by Feadship, with the help of the world’s largest yacht brokerage Burgess, who helped bring together an expert team for the design and build. Other special features on Lady S, aside from the IMAX cinema, are a fully certified helipad with Jet A fuel and facilities that cater to a wide range of sports, including golf, basketball, volleyball and football. Yacht designer Michael Leach Design created an elegant exterior with clean lines. 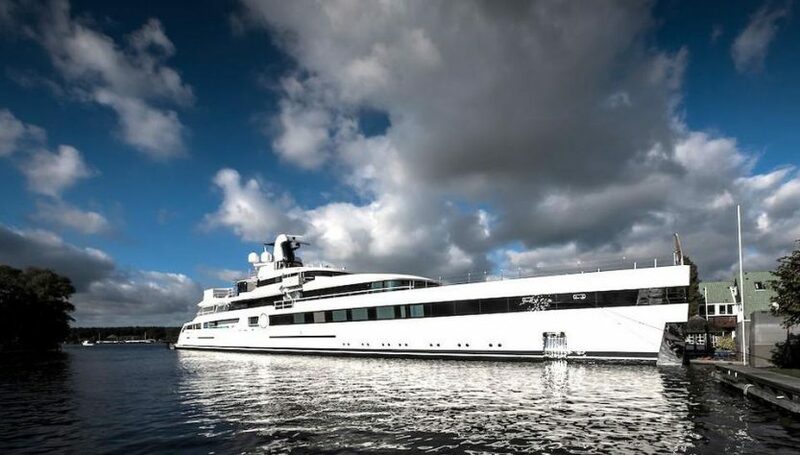 Reymond Langton designed the interior that has been described as “a beautiful contemporary jewellery box.” According to the Washington Post, Dan Snyder spent more than $70 million on his previous purchase in 2011 of a 68 meter superyacht called The Lady Anne. The Lady S is a step up from this with an estimated purchase price of $100 million.